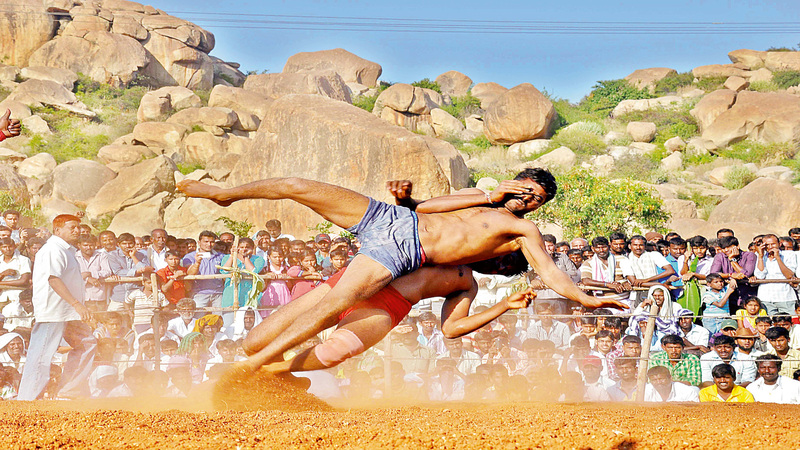 This is the First article in the series of traditional Indian fitness workouts.In this article we cover the Sport of Malkhamb or “Mallakhamb”. Etymologically Malla means a gymnast and khamba means a pole. Therefore the name “Mallakhamb” means gymnastics on a pole. Leave the boring part, so you are a fitness enthusiast? You have been working out for long but you don’t see the results you desire to see.You try jogging,Power-lifting and a host of other training programs.WHY don’t you try THIS? then try THIS, still looks easy to you? OK,since now we have caught your interest, let us get back to the boring stuff again for some time.Let us go back to the origins of the sport. these guys are probably grandpa’s now! In order to make the game more standardized and disciplined, the “Malkhamb Federation of India” (MFI) was established in 1980. This association is responsible for organizing events on the district, state and national basis. The competition is increasing by the day and the need for safety measures is felt. YES, it is GEORGIA’S got Talent.This guys are known internationally, though it is sad that many Indian’s don’t know about this yet.And Indian’s are not the only ones to practice this art. These are German Students practicing Malkhamb. This form is the most regularly exhibited one and consists of a big pole placed on the ground and the gymnasts do solo acts or coordinated pillar acts using the pole as a strong base. This involves doing complex acrobatic moves using a rope as a body support.The amount of flexibility, strength and coordination required to execute something like this requires years and years of dedicated effort. This looks like a Indian version of Spiderman.This traditional Indian Workout regime is a major crowd puller in Indian Fairs and events.Now let us move to the third variation.And “N0”, it does not get easier. These Men must be from VENUS.Oh sorry I forgot Men are from Mars. Malkhamb is a compound movement of the highest order- A Compound movement is a movement which uses more than one muscle actively.For example, pushups(we use chest,shoulders,abs,triceps and back together) and deadlifts(lower back,traps,latismus dorsii,hamstrings, glutes and quadriceps). When we recruit multiple muscles we are burning more fat than single workouts and we are also improving our neuromuscular efficiency in the process.In short these are most bang for the buck exercises. Malkhamb is the king of all compound exercises.You use your upper body muscles to pull and push up yourselves against the rope, you use your lower body and core muscles to stabilize your centre of gravity and to channelize your energy in the right direction.So if we have half an hour to workout and you have a pair of dumbbells and a malkhamb pole to choose from, always choose the malkhamb pole(considering you are equally proficient in using both options) as you will burn more calories and stimulate more muscles in the process. Malkhamb improves your flexible range of motion- well we have one question, can you peform a split? Well, please don’t try this at your local truck-yard. 3.You don’t need to burn a hole in your pocket to get fit anymore- If you remember the previous article on how you can cut your spending in the gym,we here at strongbuddha are committed to providing economically viable solutions to you and we believe practicing malkhamb is a cheaper alternative to joining planet fitness or Gold’s Gym.You will be interested to check out this journey of Dr. Simon Borg Olivier as he travelled to pune to learn this ancient art. 4.Mallakhamb Builds Team work and Camaraderie- You will also improve your team and cooperation skills as many of these moves are done in a team.